The OnePlus 5T is already official with near bezel-less display and top-notch specs. 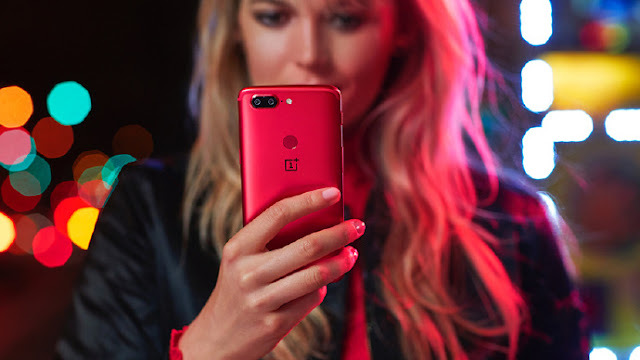 Until now, you could grab the device in Midnight Black, Lava Red, and Star Wars Special Edition, but it seems that OnePlus is giving some fans a new option. It looks like OnePlus is planning to launch a sandstone variant of the OnePlus 5T. OnePlus has posted a teaser video with a mysterious device hidden inside it. The video shows several people putting their hands inside the box, and few of them recognised a sandstone back. Since the OnePlus 5T is the latest flagship from the company, we can only assume that those people touched the upcoming sandstone variant. OnePlus plans to launch the Sandstone OnePlus 5T in January 2018. The specs of this new OnePlus 5T version should be exactly the same as the normal one.